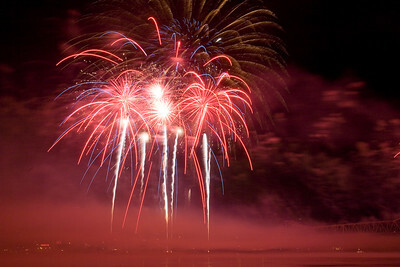 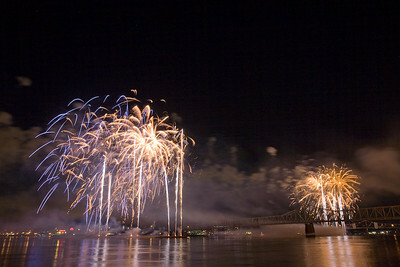 Four fireworks barges on the up river side of the 2nd street bridge. 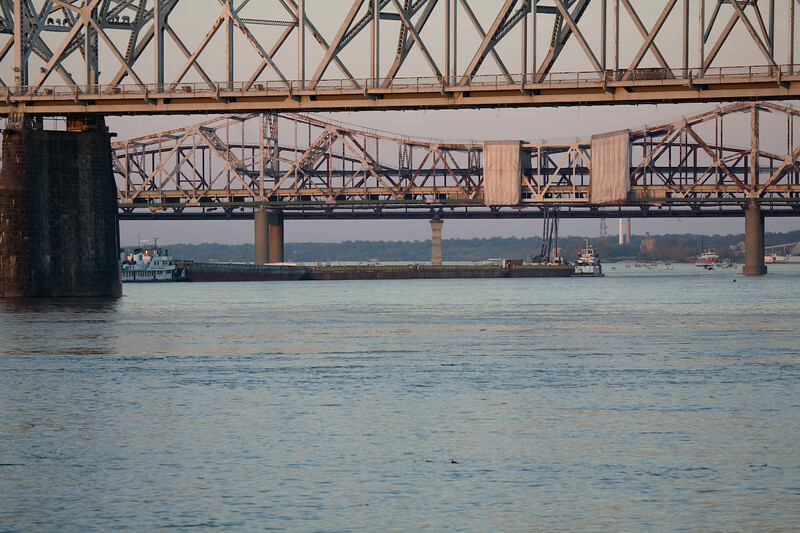 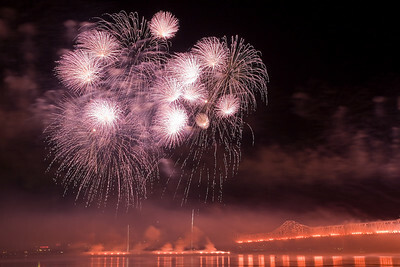 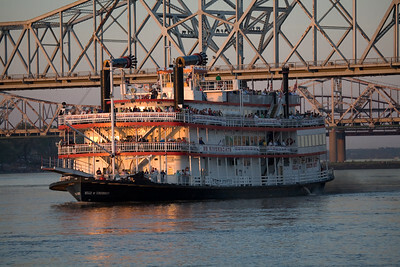 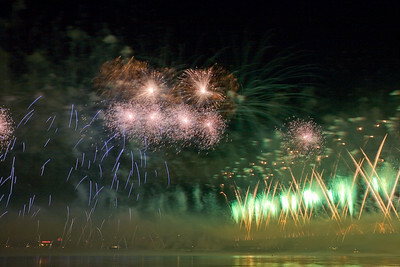 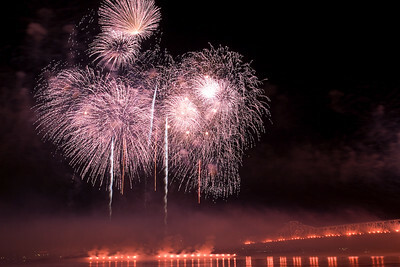 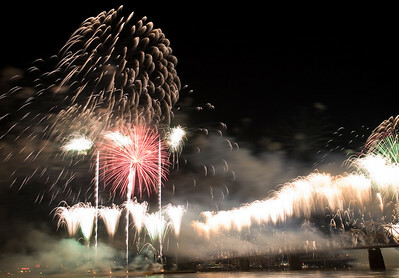 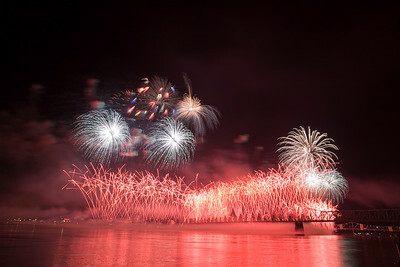 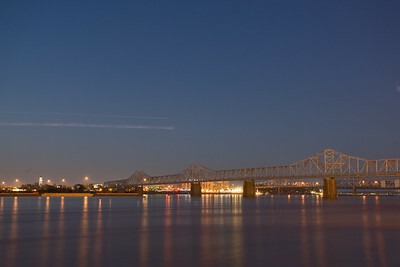 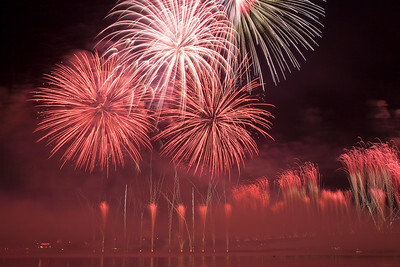 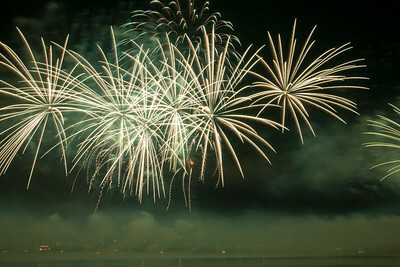 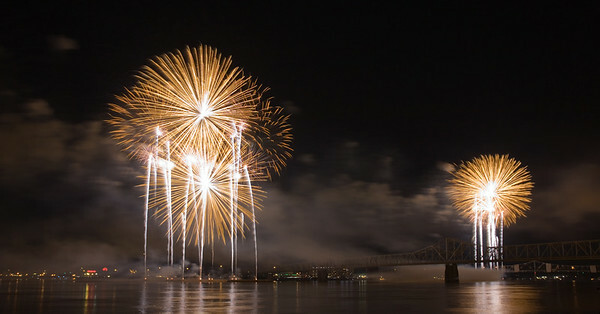 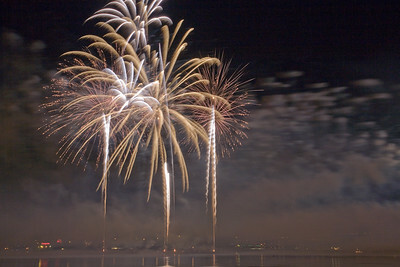 The scene: The Ohio River at Louisville, 8 barges loaded with 60 tons of fireworks shells, and the Second Street bridge wired for ground display. 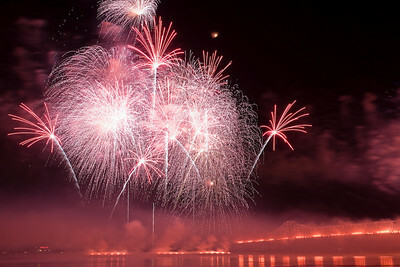 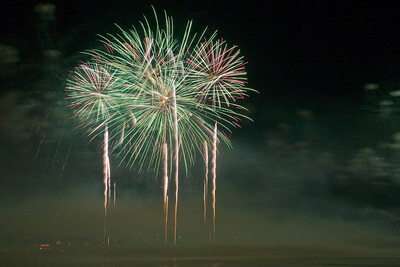 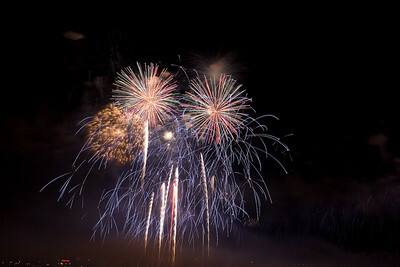 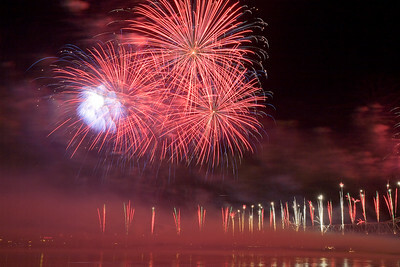 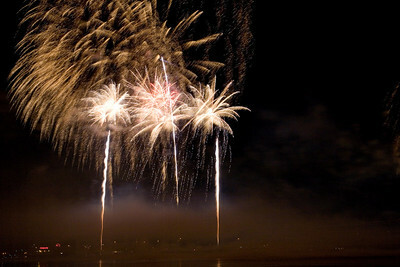 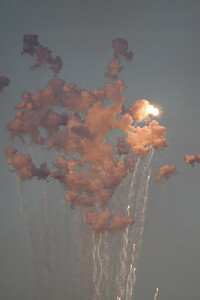 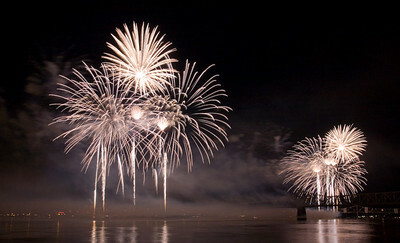 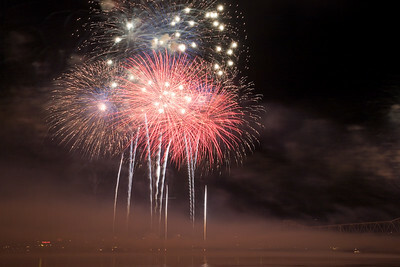 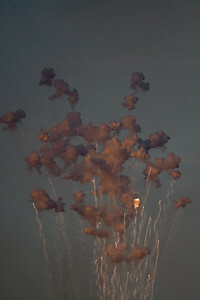 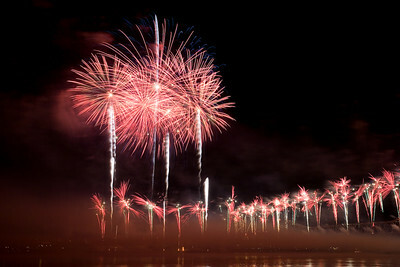 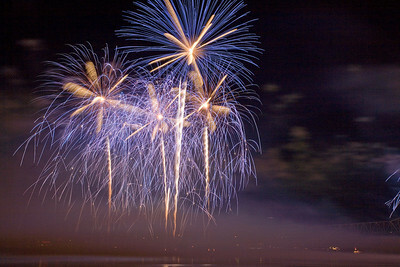 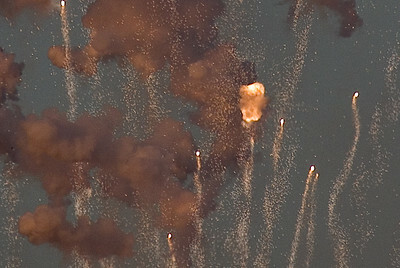 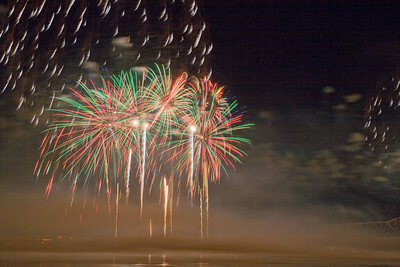 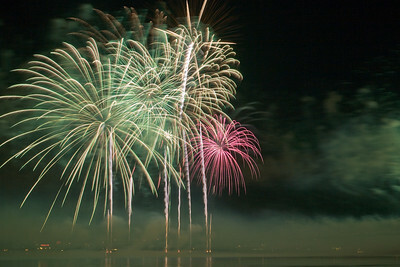 The beginning of 28 continuous minutes of the 'biggest fireworks display in North America'.